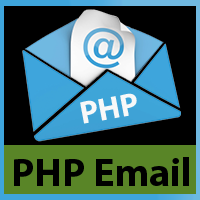 PHP Email is one of the useful functions you can use to send email to one and more people. and you can also use this to send many emails, to people such as who submit a form or who contact you via blog or website. Above local variables hold some information and then we use the PHP, Email function easily. So, if you want to send a beautiful HTML & CSS formatted (Email) then you do so. Carry on reading. You can use extra headers to send an email which contains HTML and CSS codes, and this will be actually applied on the page. Now below is the some code which you can take from here and can use in your site-projects, this will send the email to the user which is in the $to variable, and the email will be fully designed. Above email is the perfect one with HTML and CSS (Web or blog) tags, you can change it according to your own information. But the important part in above email "syntax" is the ($headers variable) in which we’ve defined the version and content with character & set. So this format will be treated as HTML email by the browser and email provider. You also can change the (from:<mbt@mybloggertools.com>) to your own email from which you want to send an email to someone. If you have any questions about this tutorial or any other tutorial on this website then don’t hesitate to ask your question using below commenting area below this posts Thanks! Such as very valuable information and it's very helpful in my carrier, I really appreciate the kind words.you are the master of content. its really very helpful to send the mail in PHP with HTML format. and its really good to know how to send with authorized commands.thanks for sharing. keep update. PHP development company which provides presence and sufficient impetus towards the growth of your business. Very very informative stuff. keep it up. Good post. I learned some new things. Thanks for sharing. By reading your blog post i gained more information. Thanks for your valuable information, nice and great post. This post is very helpful.thank you for sharing . Excellent post and very useful for web designers. PHP is the language used for web designing trending the market now. It was so bravely and depth information. I feel so good read to your blog. I would you like thanks for your posting such a wonderful blog!! !